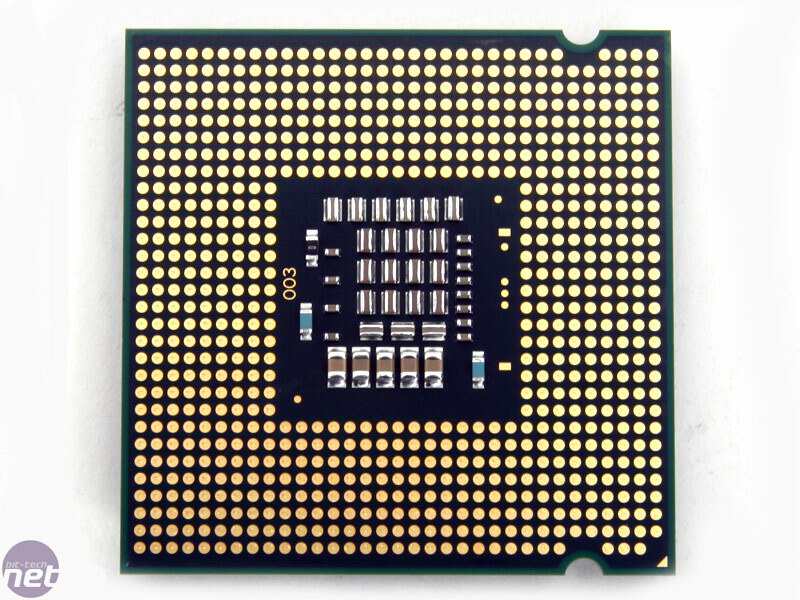 Intel's first 45nm processor, the Core 2 Extreme QX9650, launched last November and it was shortly followed with the launch of the QX9770 - a 200MHz faster, 1600MHz FSB CPU that came at an even higher price point. It was nothing more than a show of power from Intel, following AMD's lacklustre Phenom launch, and it represented no value to almost all consumers. Thankfully, Intel doesn't just make super expensive 45nm CPUs and for those who aren't interested in a quad-core, the E8x00 series of dual-core processors are without doubt an interesting proposition. Sadly getting hold of them, especially the E8400 with its optimum Price-to-Performance ratio at 3.00GHz at around £130, is a bit of a task - even after three months the availability is a little short. Why? At IDF in Shanghai, Tim did a bit of digging and discovered this was more to do with 45nm fab capacity than it was with yield issues. Let's not discount the competition though: AMD's Phenom B3 stepping chips are looking quite tasty and are very inexpensive, this is in addition to the revamping of its X2 range in the near future for lower wattage parts that should overclock a little further (or, at least not melt the heatsink). The E8400 with its higher multiplier than the E8200 offers better potential overclocks without needing (500+) 2000+MHz FSB speeds from a motherboard. This is partly because of the already high (333MHz) 1,333MHz FSB that the CPUs now use as standard. 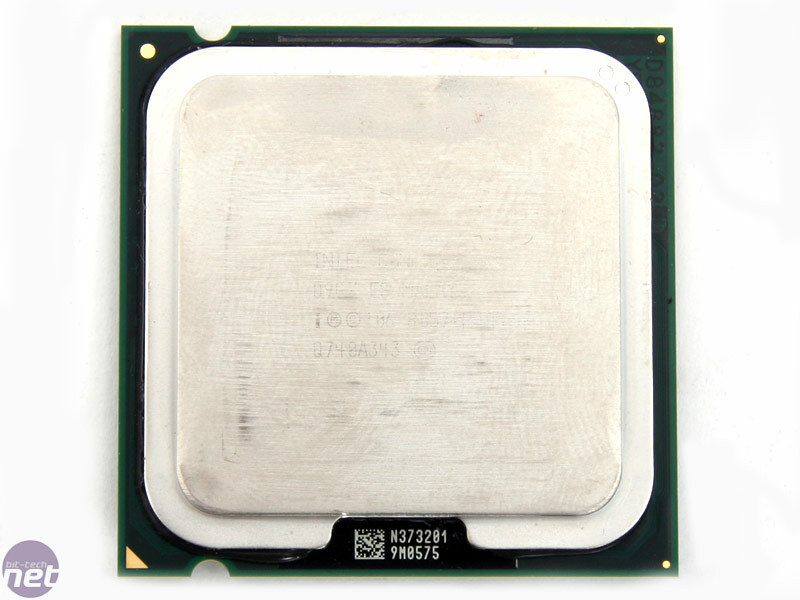 The "50" nomenclature the 65nm Intel Core 2 range used to differentiate same ~2.67GHz clocked 1,333MHz FSB E6750 from the older 1,066MHz E6700 is no longer used. 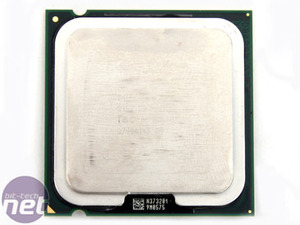 Instead, budget CPUs below the E8200 will likely use the E7000 brand name, like the E4000 range below the E6000. 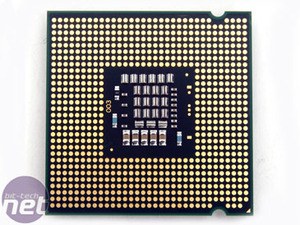 However, since both these ranges are still widely available, Intel might just offer Q9000, E8000, Q6000, E6000, E4000 and E2000 processors for quite a while yet. What's strange is that the E6850 is still £160 and the newer E8400 is just £130, yet they are both 3.00GHz CPUs with an identical 1,333MHz bus speed. Of course, there's also the fact that the new E8400 has 2MB more L2 cache which comes along with the other 45nm optimisations that improve its performance over the previous 65nm products. The thing we realised as we set out this review, is that while motherboards and graphics cards seem to be getting exponentially more expensive, every CPU we were reviewing (bar one, but we expect that might change) is under £200. This even includes the Phenom 9850, 9750 and 9550 CPUs we will review shortly too. Intel has announced a massive 40 percent price cut on its top-end mainstream quad-core chip, in direct response to the launch of the Phenom II X4 series from rival AMD.